Should obtain the ticket from the ticket booth. Boarding on the bus should be 10 minutes before the scheduled departure time. Should inform the bus driver in advance so he knows where you want to stop. When waiting at a bus stop, for the bus, should signal the bus driver so he can stop the bus safely. Should keep the bus and the seat clean as possible and try not to disturb the rest of the passengers and the bus driver. 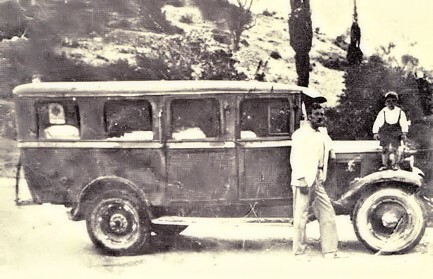 The history of Samos Public Busses (KTEL) began in 1920, when every village in Samos had a bus and served the residents with Samos city, the capital of the island. Around 1950, KTEL (Common Funds of Bus Proceeds) of Samos was established, under auspices of the State, in which structure the regular transportation of the island was formed. 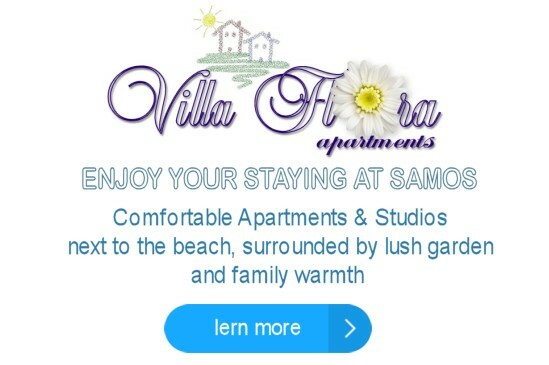 In 2003 the KTEL of Samos became a limited company. Samos Public Busses (KTEL of Samos) currently has a fleet of more than 20 buses to serve the island. 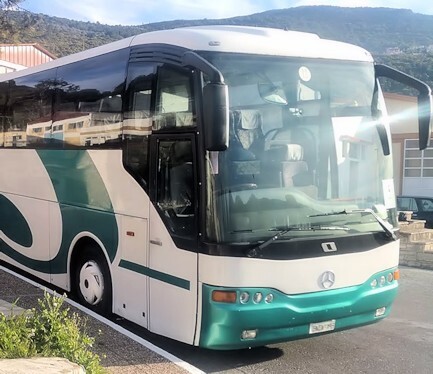 They cover all categories from old well-maintained buses up to modern tourist buses that meet all the requirements of the passenger. In addition, Samos Public Busses (KTEL of Samos), is also organizing extraordinary group tours, in cooperation with the Office, in very competitive prices! ! Samos Public Busses (KTEL of Samos) welcomes you to our Island and wishes you good stay and good holidays! To Samos I come on 5.6.2018 by airplane. Can you informe me about the timetable from Airport to Vathi on that day? Hello, is there only one ride from Samos town to psili ammos each day? On the timetable you shared, I see that only 12.20 bus from Samos town goes to psili ammos and 6.35 bus from psili ammos goes to Samos Town. Isn’t there any more buses between these destinations? At the current bus timetable, there is only this schedule for Psili Ammos. But this is Psili Ammos beach at west side of Samos, at Marathokampos area. For the other Psili Ammos beach, at east side of the Island, unfortunately there are not at all bus schedule. Could you please inform me about the departure bus timetable from Pythagorio to Karlovasi and the arrival time to karlovasi on Sunday ,26 august 2018 . There is not bus directly from Pythagoreion to Karlovasi. From Pythagoreion, you have to go to Samos city and then you take the bus to Karlovasi. Is there any bus between vathy and karlovasi on sunday 17/06/2018? I couldnt fine any sunday bus on schedule. Are they working on sunday? I arrive at samos airport july 9 at 11’00.Is there a possibility to get to Marathokampou by bus ? Do I have to transfer in Samos or Pythagoreion? How long takes the trip from Airport to Samos?Or from airport to Pythagoreion? Bonjour. Nous arrivons à Samos le 8 juillet. Y a-t-il des bus circulant le dimanche ? Je ne vois que des horaires du lundi au samedi… Peut-être y-a-t-il d’autres compagnies pour le dimanche ? Merci de m’aider. Hello. I want to travel by bus from kokkari to karlovasi tomorrow. Is there any direct route from kokkari? Thank you! No there is not. It’s the same route from Samos to Karlovasi. We want to travel from airport to Kokkari on Saturday at 12.30 is there a bus that we can go with? Is there a direct bus from Karlovassi to Ireon? And how much is the ticket? Could I get the supermarket Lidl from Vathi by bus? Are there local minibuses in Samos Town? The supermarket LIDL located at the route Samos city to Pythagoreion town, so the bus route that goes from Samos to Pythagoreion passes in front of the supermarket, I do not know whether the driver will stop at the point, ask the driver at the bus or Samos Public Busses (KTEL Samos) Tel. +30 22730 27262, +30 22730 27270 more here.